dahlias, originally uploaded by jahansell. 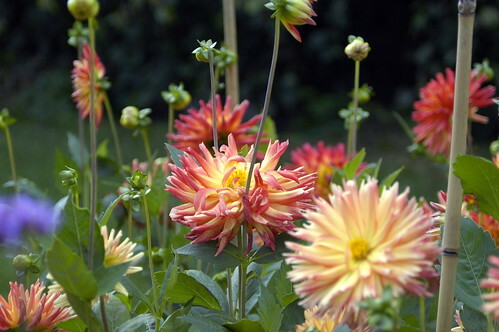 I am definitely planting lots of dahlias for next year - deer, beware! After visitng Litchfield County many times (and heading to Lime Rock Park for vintage car weekends quite often) my wife STILL gets the White Flower Farms catalog. We miss your gorgeous part of the world - especially now as you're enjoying the fall weather and we still have temps in the 90s. i love plants and flowers too, but i still have a lot to learn. good luck with your dahlias!